My family loves salsa! It is one of those things that no matter how much I can, we are always out by the summer time. 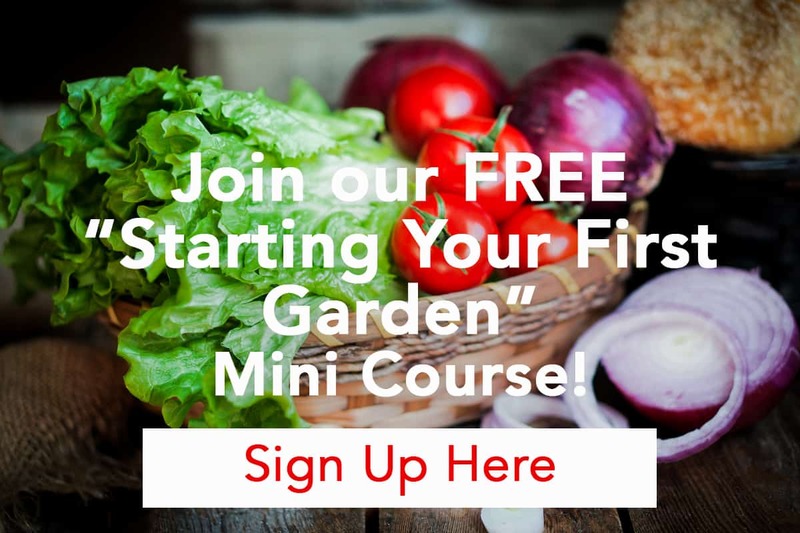 Why start a salsa garden? The produce you need to grow to make salsa are garden staples that you can use in many other ways. You can use all 6 of the plants below in many, many meals for your family. You can use them fresh or preserve them for the winter. They are very versatile. Your family loves to eat salsa as much as mine does. 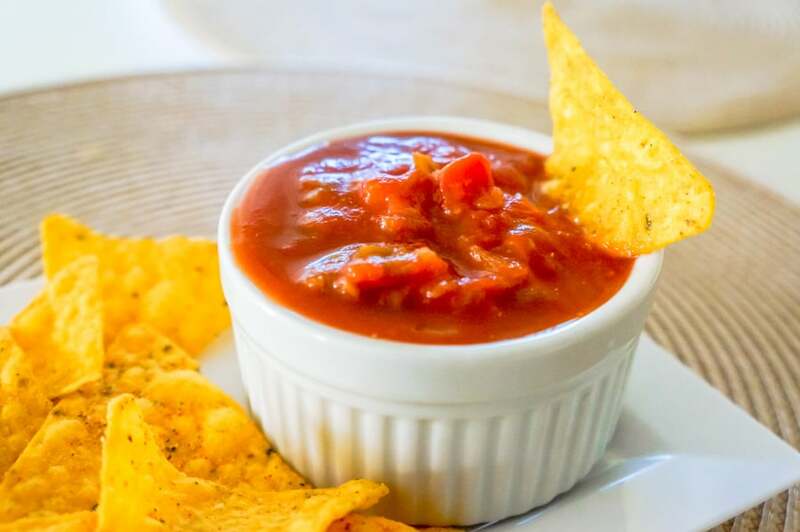 Whether it is in a recipe or plain with chips, my family really loves my salsa. You can preserve enough salsa to last you all year long. Salsa is a great thing for canning newbies to start on because it is quick, easy and everybody loves it. You can fill your pantry with beautiful jars of homemade salsa. And if you make too much, you can even give it as gifts. What should you put in a salsa garden? Tomatoes are a garden staple. Besides salsa, you could make all sorts of tomato based canned goods and eat them fresh. 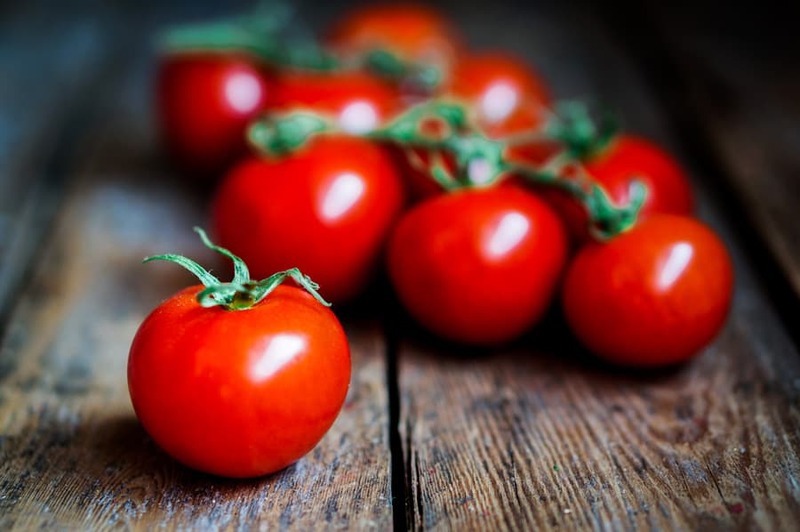 You need to start tomatoes indoors (in most climates) or buy the plants from the store. You can grow tomatoes in a container, just make sure it is big enough to handle the deep root system tomatoes produce. I would start with 2 to 4 tomato plants, with Roma being the best variety for salsa and canning tomatoes. I love bell peppers because while they are a pepper, they aren’t hot. I can’t handle hot! 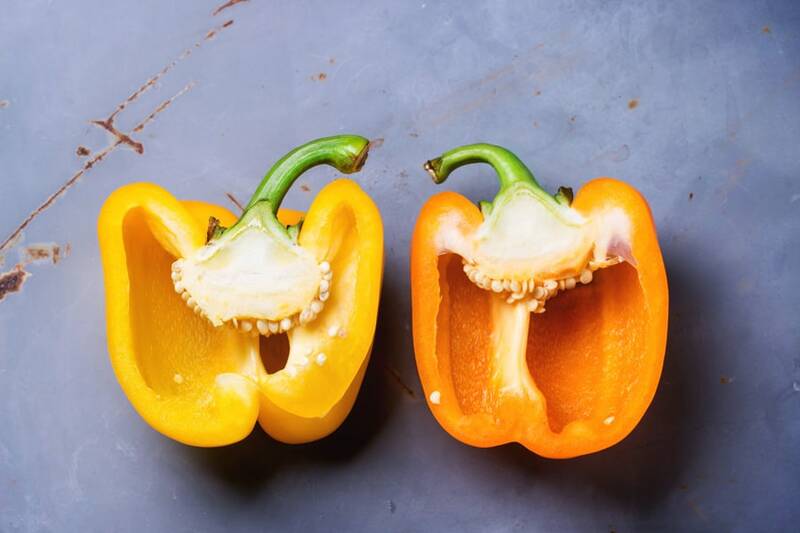 Bell peppers come in not only green, but other colors as well such as yellow, orange, red and even chocolate color. Peppers also need to be started indoors or bought from a store as a transplant. You can grow several bell pepper plants in a small area because they don’t really spread like some vegetables. It is up to you the heat level you choose for your salsa. My family prefers medium salsa, so we use jalepeno and anaheim peppers. 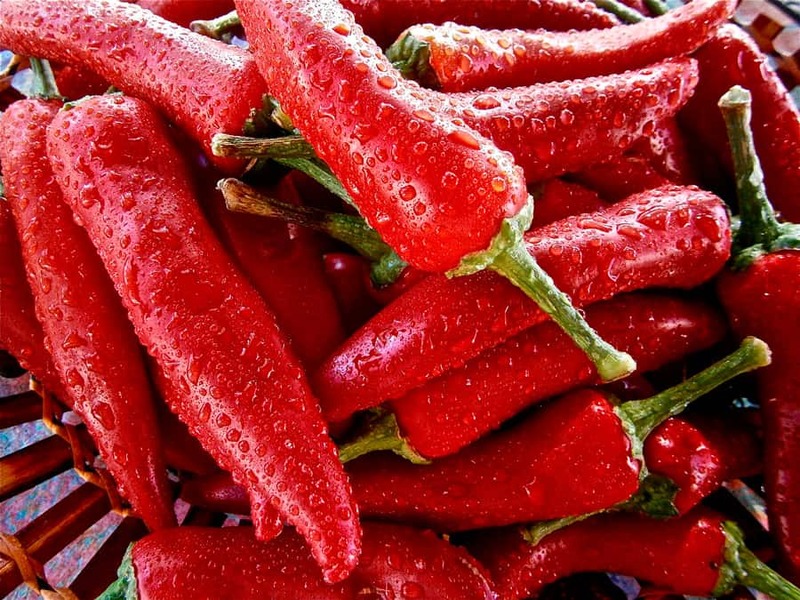 If you like hotter, you could grow hotter varieties such as habanero, cayenne or red chili peppers. If you are going to choose hotter peppers, you won’t need very many plants because you don’t want the heat to take over the taste of your salsa. Don’t forget that if you use really hot peppers (or even jalepenos), you need to wear gloves when cutting them and do not touch your eyes. You will really regret it if you do! Onions are pretty cheap at the store, so I don’t always grow them myself. 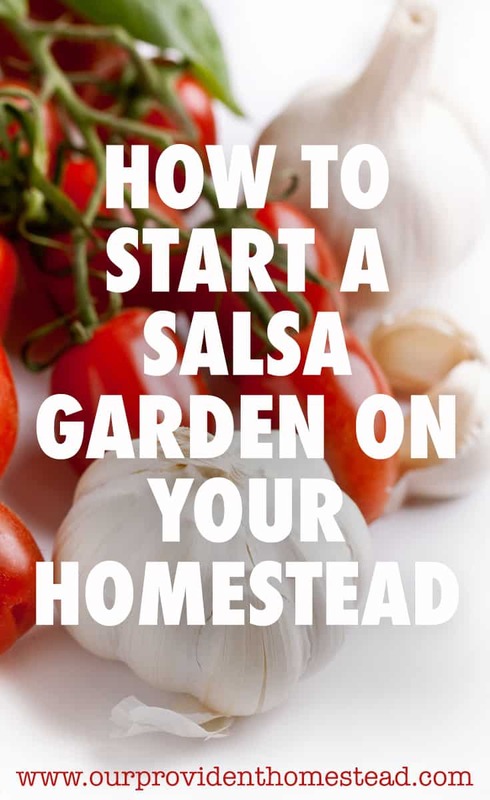 But if you want a true salsa garden, you have to add onions! Onions can be started by seed, transplants or sets, depending on how long your growing season is. You will probably want to plant atleast 6 or 9 plants, which should be plenty for a small salsa garden. 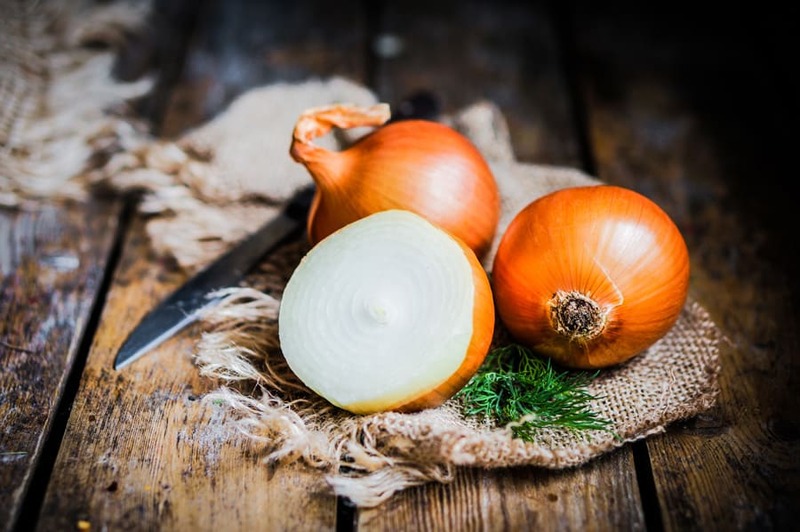 Onions are another versatile vegetable that you can add to almost any dish. I love cilantro! I love the smell and the taste. I add extra cilantro to my salsa because that is how my family likes it. 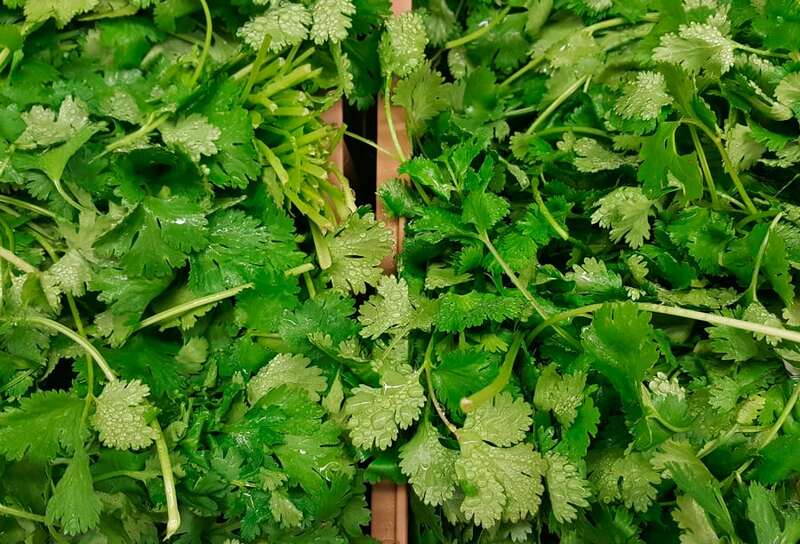 Cilantro is an herb that can be grown in the garden or in a container. If you have more than you can use at the end of the season, dry it for longer preservation. This one takes a little extra thought to get the best harvest. 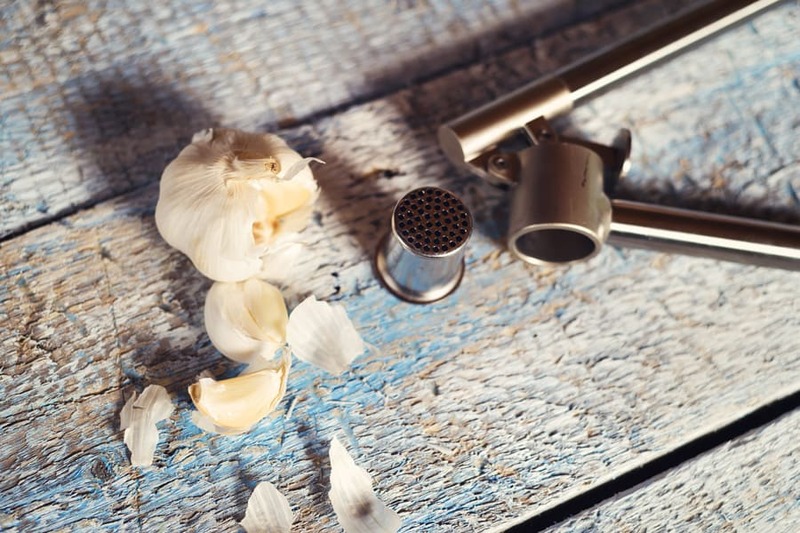 Garlic should be planted in the fall for bigger bulbs. They will overwinter in the garden and flower in the spring. Salsa is one of our favorite foods to preserve each year. It is so satisfying to see those jars on the shelf and realize that you grew almost everything needed to make it (minus the lime and salt) in your garden. 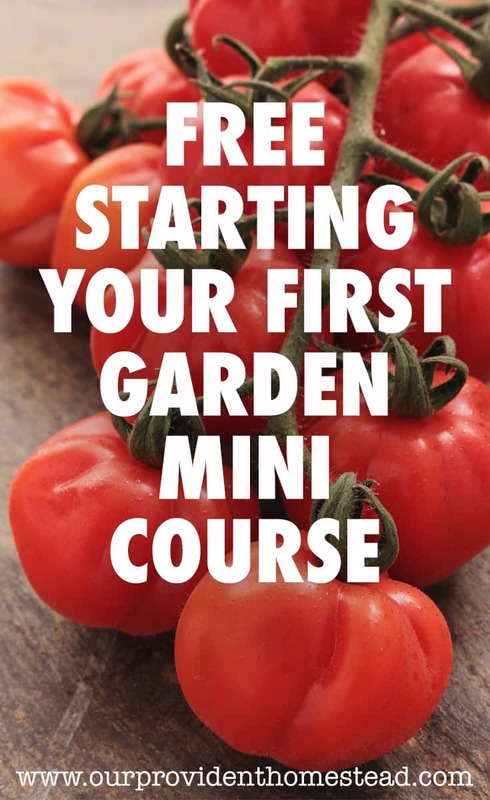 So if you are looking to start a new garden, and your family loves salsa, this could be just the thing to get you started! Good luck! What do you put in your salsa garden? Let us know in the comments below. 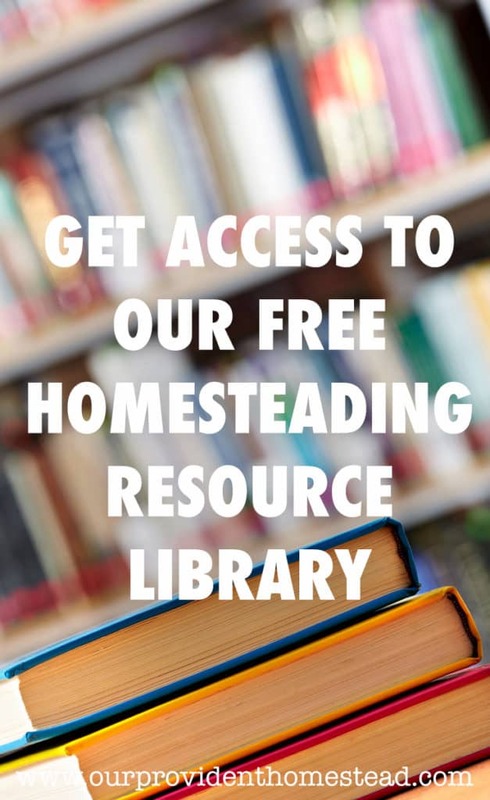 And if you found this post helpful, please share! Thanks!